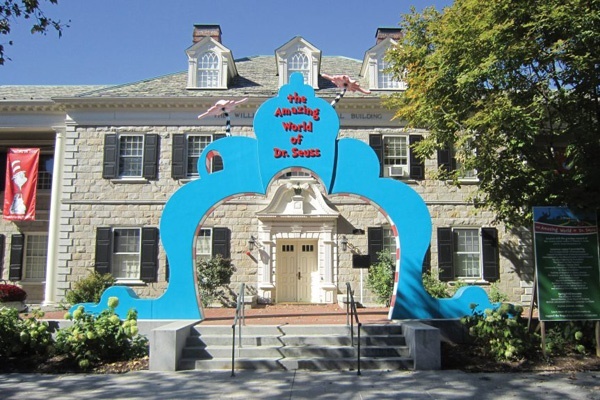 Welcome to the Dr. Seuss Museum! Heads up Dr. Seuss fans, there is now a whole museum dedicated to our favourite wordsmith and it looks like such a fun place! The first national museum dedicated to the beloved children's author and illustrator Dr. Seuss is opening this weekend in his hometown of Springfield, Massachusetts. The Amazing World of Dr. Seuss opening Saturday features interactive exhibits, a collection of personal belongings and explains how the childhood experiences of the man, whose real name is Theodor Geisel, shaped his work. Like the books, the museum is meant to inspire and thrill children. Visitors are taken through Geisel's boyhood bedroom, his grandparents' businesses and different rooms with themes based on different Dr. Seuss books. The rooms are painted in brilliant blues and radiant reds and decorated with almost fanatical detail with scenes from the books. What are your kids favourite Dr. Seuss books? Tell us in the comments below.